Wakeitha Cunningham is a plan-oriented person. She planned to attend Lanier Technical College to take her core classes after graduating from Gainesville High School in 1995. Then, she planned to transfer to the University of North Georgia's (UNG) Gainesville Campus, then Gainesville State College, to finish her degree. She planned to graduate from UNG with a degree like any other traditional college. Then, life — literally a life — happened. Cunningham gave birth to her first child before she finished her classes at Lanier Tech, causing the determined young woman to alter her career path. She graduated from Lanier Tech with a marketing degree. "I decided to put my college plans on hold to raise my daughter, then go back and get my degree after getting her through high school," Cunningham said. When her daughter graduated from high school in 2016, Cunningham picked up her own college dreams. "I took the leap of faith and restarted my college journey," the 41-year-old said. "I decided on UNG because that was my original plan … and I was going to stick to it." After her first year at UNG, Cunningham is reaping the rewards of her earlier plan. 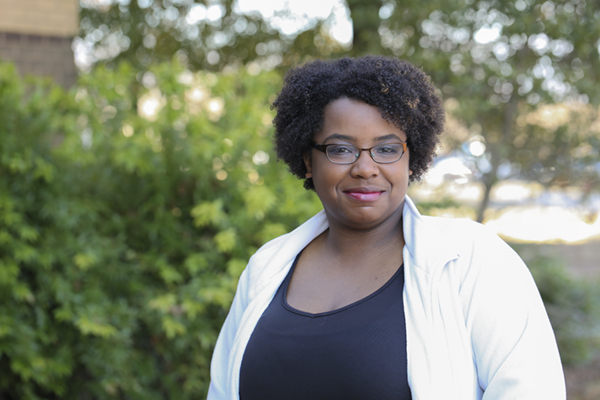 As a nontraditional student, Cunningham has more things in common with her professors than her fellow classmates. 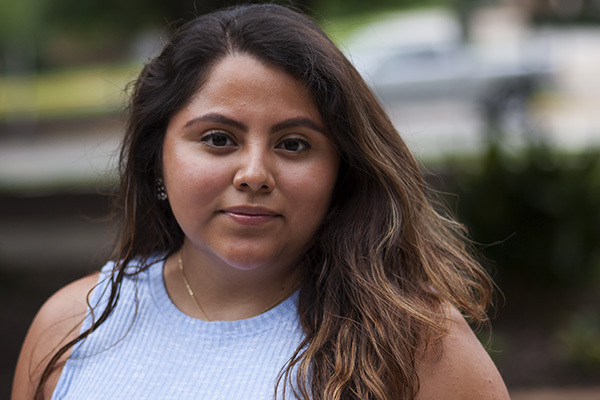 But she takes full advantage of being around millennials, especially as she works in the Multicultural Student Association (MSA) Office on the Gainesville Campus. "Although there is a big age gap between me and a lot of the students who come in the MSA office, they do not make me feel uncomfortable or unwanted," Cunningham said. "They are a joy to be around most of the time. And most of all, they keep me up on the new millennium do's and don'ts!" Of course, the millennial students take advantage of Cunningham's leadership skills. She was elected Student Government Association (SGA) president in spring 2018. The unusual part is Cunningham never planned to be SGA president. 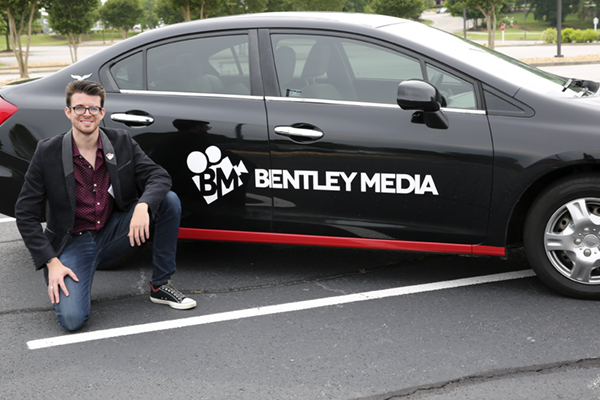 The business major who lives in Auburn, Georgia, was encouraged to join the government group after attending a Women In Business Conference at UNG. So she attended an SGA meeting and later joined. "Honestly, I never expected I would run for SGA president," Cunningham said. During her time as a member of SGA, she worked with the 2017-18 SGA President Michelle McAdams. It was McAdams who advised her to run for the top position. Dr. Robert Robinson, director of MSA, supported the idea. 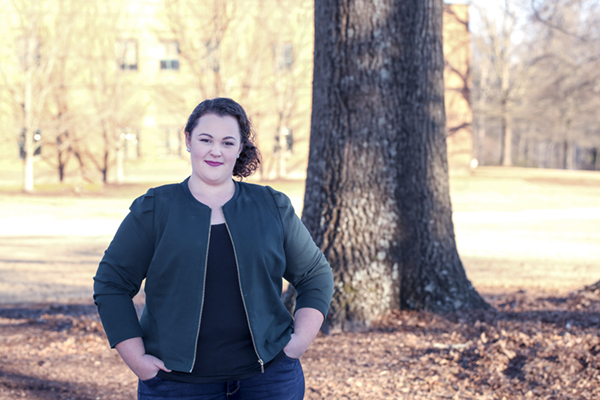 "I was encouraged every day to run for president, so I could really make a difference on campus," Cunningham said, adding she acquiesced and put her name on the ballot. "There was no turning back." Cunningham was elected and will serve as SGA president from August 2018 to May 2019. As a key officeholder on campus, she spends time advocating for her fellow students and improving services on campus. Self-proclaimed a social and active person, Cunningham consistently encourages all students, no matter their age, to become invested in the UNG community. "Attending UNG is one of the best decisions I've ever made," she said. "I would encourage all students to not just come to UNG just to take classes, but to get involved on campus, utilize the resources available and meet new people." She said she benefited from becoming an involved student herself, explaining it was a natural carryover from her personal life. She already attended networking events, volunteered at various shelters and served in different positions at her church and in her community. "When I did start school, it was basically just like getting involved with events and meeting new people in one location instead of all of the different locations," Cunningham said. Meeting new people is one of her favorite things. "As an MSA student office worker, I have the opportunity to learn a lot about the different cultures and ethnicities that I otherwise may have not been comfortable asking people about or even being exposed to if I was not here," Cunningham said. And being here at UNG and sticking with her plan is the best decision she has made. "Coming back as a nontraditional student is a proud moment for me, because I'm stepping out of my comfort zone of being the teacher to being a student again," Cunningham said. 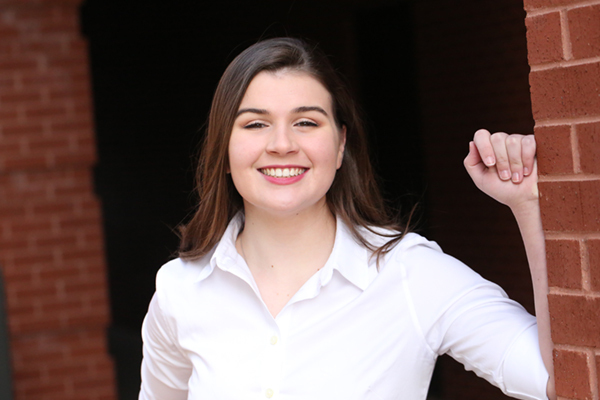 Isabella Michel has made an impact at the University of North Georgia (UNG) by recognizing the value of simple opportunities to lend a helping hand.